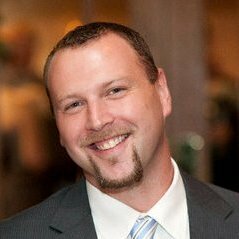 AUSTIN, TEXAS – Aug. 10, 2016 – projekt202 has named Kevin Green as its new Digital Transformation Officer. A leading designer and developer of software applications, projekt202 uses its unique, observation-based methodology to help businesses deliver improved experiences to their customers and users. Named one of the fastest-growing private companies in the United States by Inc. and the Dallas Business Journal, projekt202’s revenue has grown 214% over the past three years. With offices in Austin, Seattle and Dallas, projekt202 harnesses the strengths and skills of more than 150 researchers, designers, developers and digital marketing strategists. Green brings in-depth B2B and B2C expertise to projekt202’s talent roster. He has delivered results for some of the most recognized and valuable brands in the world, including Dell, IBM, General Electric, Reebok, T-Mobile, Electronic Arts, HBO, Timberland, Visa International and Kaiser Permanente. projekt202 has spent over a decade creating compelling experiences and bringing them to market through experience strategy and insight, interaction and visual design, application development, and digital marketing. Clients include Samsung Electronics, Neiman Marcus, Mercedes-Benz Financial Services, Capital One, The Container Store and more. For details, visit www.projekt202.com. Stay current on projekt202 news: Follow us on LinkedIn, Twitter, Facebook,YouTube and Instagram.